This hinged hanger allows easy installation without having to remove bar tape or levers. 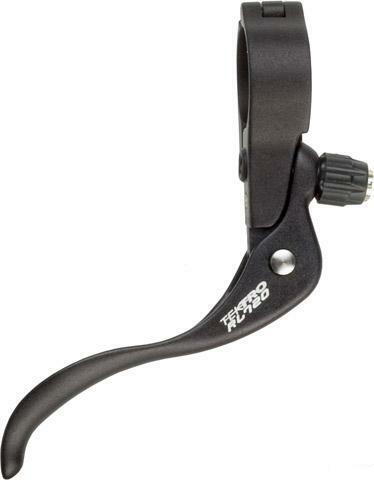 Ergonomic lever design with reach adjustment & return spring. 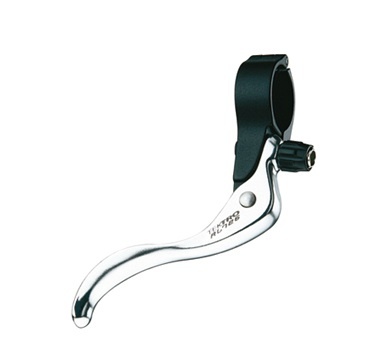 24mm clamp version comes in all black and the 31.8 has a silver lever blade. This is a hot item. 24mm version fits on the “non bulge” section of the bars. Sold as a pair.